Phantom limb pain is the perception of pain or feeling a missing limb after amputation, and it relatively common. Currently it is unknown by researchers if the effect initiates from the nervous system or is psychological. But research on regenerative targeted muscle reinnervation techniques could soon change how phantom limb pain is treated. Regenerative targeted muscle reinnervation is a new technique being used to treat phantom limb pain. A study from the Wexner Medical Center at Ohio State and the College of Medicine focuses on improving patient care by stopping phantom limb pain before it begins. Dr. Ian Valerio, who is with the medical center, works with amputee patients to treat disorganized nerve receptors from cancer, trauma, and congenital amputees using regenerative targeted muscle reinnervation (TMR) techniques. ‘”Right now, it’s not a standard of care, but we think it should be at some point, and that’s what we’re trying to do is educate people on how to do this technique,”’ says Dr. Valerio. The Wexner Medical Center is one of the few centers using TMR techniques to treat nerve pain. TMR surgery involves redirecting damaged nerve endings responsible for movement to other parts of the muscle. 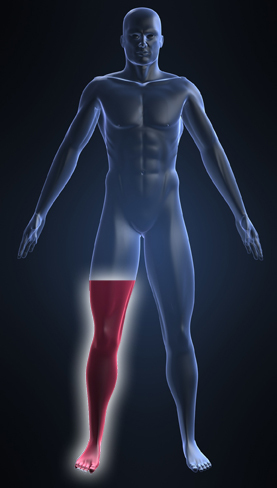 Originally used to help improve prosthetic control, researchers have discovered it helps curb residual pain as well. Normal amputation leaves nerves behind after cutting them, often leading to pain or scarring; TMR allows nerves to regrow over time. Limbs send out new signals and are able to function again after rehooking the neural pathways to the brain in TMR. In a recent publication the Journal of the American Society of Plastic Surgeons, studies found 95% of amputees end up feeling some form of phantom pain; while more than 70% of primary TMR patients could find themselves off pain medications shortly after treatment. This will also help to advance prosthetics for amputees, while working toward the reduction of pain medication use and subsequent dependency. Read the original article from Ohio State’s The Lantern here.